One more round of tests before the chemo starts. I needed an abdominal CT scan with contrast and a vaginal ultrasound to check on the abnormalities the PET scan found. I would also need a baseline MUGA test. The CT scan required a 6-hour fast, so I got up at 5:45 for a quick breakfast, and went back to bed. There was no way I’d make it to noon without some food in my stomach, and I really didn’t want to start my day that early. 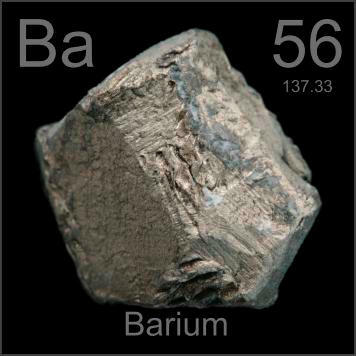 Turns out the fasting was to allow the barium contrast in my gastrointestinal tract to show up most strongly. I had to drink 900 mL of barium sulfate in about a half an hour. I got berry flavor, which wasn’t actually too bad. The worst was the slightly thick texture of the drink which made me gag occasionally, but I managed to get it all down. Once I finished the barium, it was time to get into the CT scanner – just another table that slides through a tube. I also needed IV iodine to add contrast to the blood vessels. Since I have a PowerPort, they actually got to use my port for the first time – yeah! Nurse said I had good blood return, so the port was working well. The iodine injection caused the weirdest sensations. It made the inside of my ears feel hot, and made me feel like I was peeing, although I wasn’t. It only lasted a minute or two, but it was quite odd. The CT scan was quiet, but I did have to hold my breath a couple of times. The nice thing was there was a counter on the machine that told me how many seconds longer I would have to hold my breath, so I wasn’t wondering how much longer every time. The ultrasound to look at my ovaries was the easiest test yet, since there were no injections needed. I just had to drink a lot of water before getting there so I had a full bladder for the first half of the test. I did get to empty the bladder before the tech did the intravaginal part of the test. Once again, I got talking to the tech, and she showed me the ovaries and where the developing eggs were on the ovaries. The final test of the week was a MUGA scan (or Multi-Gated Acquisition scan). Because my tumor is HER2 positive, Dr. Li is adding Herceptin to my drug regimen. One of the less common (2-4% chance) side effects in heart failure, which would definitely count as a bad thing. So, as a precaution, everyone on Herceptin has periodic tests of their heart to make sure it’s fine. There’s a lot of natural variation in heart efficiency, though, so you need a baseline test to compare with future tests. A MUGA scan uses radionucleotides, specifically technetium, attached to your red blood cells to get a picture of how efficiently your ventricles contract. 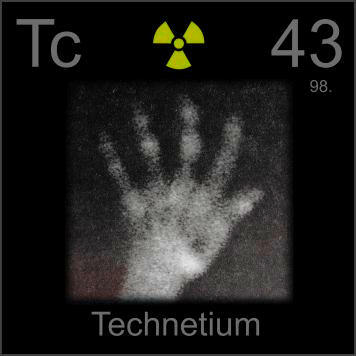 Technetium will attach to different cells in your body, depending on what loading medication they give you. I got the loading medication (a tin-based solution), and then sat in a waiting room while it moved throughout my bloodstream. After about 20 minutes, I got the technetium injection, and then moved to the machine to measure my heart function. There, I laid under a set of white plates for eight minutes and was done. Since I had been talking quite a bit with the tech (are you sensing a theme here? ), he called me over and showed me the pictures the machine took. It was pretty awesome seeing the blood move through the heart, and the walls of the heart moving. The scan is set up to compare the ratio of the left ventricle at minimum and maximum contraction. 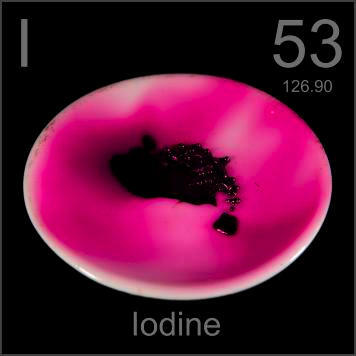 Once again, I was radioactive for the day, and a bit longer than the PET scan since the technetium has a half-life of six hours. CT results showed the mass on my kidney was a cyst (yeah – not renal cancer!) and there’s a cyst on the ovaries. Ultrasound was inconclusive – there’s a mass on an ovary, but it wasn’t clear with it is exactly (probably the cyst seen on the CT). MUGA showed good heart functions to start with. All set to start chemo now! 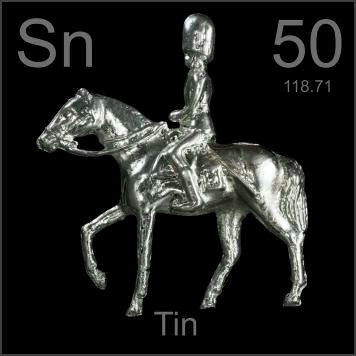 This entry was posted on July 26, 2013, in tests and tagged CT scan, elements, MUGA, results, ultrasound. So, we picked the kids up from camp on Saturday, and the biopsy was scheduled for Monday morning. My mother-in-law came down to watch the kids since Miss Adventure had to go to theater camp at 9:30 in the morning, and my husband wanted to come with me for the biopsy. Sunday night I got a call from the nurse, which I thought was odd. Turns out the radiologist who would be performing the biopsy was very sick and would be unable to come in to the office on Monday. I had the option of tentatively scheduling for Tuesday or driving two hours to do the biopsy at a different facility. I wasn’t that desperate to have a needle stuck in me, so I opted for the reschedule. That did mean my mother-in-law wouldn’t be around to watch kids, so we had to call around and find somewhere Mr. Curiosity would be willing to go and play for a few hours while Miss Adventure was at her theater camp, and then pray the radiologist was better. Tuesday morning came with a call confirming (NOT cancelling) the biopsy, so we sent the kids off to their respective locations and headed in to Erie. Dr. Chan was my radiologist, and he was excellent. Very soft-spoken, and he talked his way through the entire procedure so I knew what he was doing the whole time. First they numb the location up with lidocaine, starting at the skin’s surface, and then injecting deeper into the tissue. That was the most uncomfortable part of the procedure for me, since I hate feeling the pressure of something being injected. It did a great job, though, since I never felt a thing when they put in the needle for the actual biopsy. It was very loud when they took the tissue sample, but Dr. Chan snapped the needle once before he put it in me so I didn’t startle. I had an ultrasound-guided biopsy, which meant that I was able to watch the biopsy in real-time. I didn’t watch the breast biopsy, but I did watch the lymph node biopsy. You could easily see the needle moving in and out as they numbed the skin, which made me a little woozy. I don’t have a problem with needles, as long as I don’t see them in me. I had no problem with watching the biopsy needle zip in and out to take the samples. Once they were done, I had to get a mammogram to check the location of the biopsy clip they had inserted in my breast. The squeezing made the biopsy location bleed again, so the nurse had to redo the paper strips they put over the site. Then, they wrap you up tight with an Ace bandage around your breasts that you have to keep on overnight. It’s not at all comfortable, but it’s done to keep the biopsy site squished together and not producing fluid. Any time you have a new cavity in your body, your body tends to fill it with fluid. So, they wrap you up tight to prevent fluid production. Once I was all cleaned up, my husband and I went back and talked to Dr. Chan. He went over the mammogram and biopsy information and discussed why he was certain the tumor was cancer and not just a cyst or anything else. Again, it was quite comforting to talk to Dr. Chan. Not because what he was saying wasn’t scary, but because his certainty moved it from the realm of “what if” to “what now”. Dr. Chan said he’d talk to the pathologist and see if he could rush the results, which I should expect in 2-4 days. I was supposed to keep the paper strips on until the fell off days later, but I had an allergic reaction under some of them (it looked like poison ivy). I called the nurse about the itchiness, and she said I could just use a regular band-aid. I was a little sore for a few days under my arm since the lymph node Dr. Chan biopsy was close to some muscles. There was also some bruising the developed over the next few days that still hasn’t completely resided, three weeks later. This entry was posted on July 19, 2013, in tests and tagged biopsy, Dr. Chan, ultrasound.